When questions arise about a students account and changes that may have taken place or discrepancies about amounts owed/paid, the first place to look is the student’s account histories. 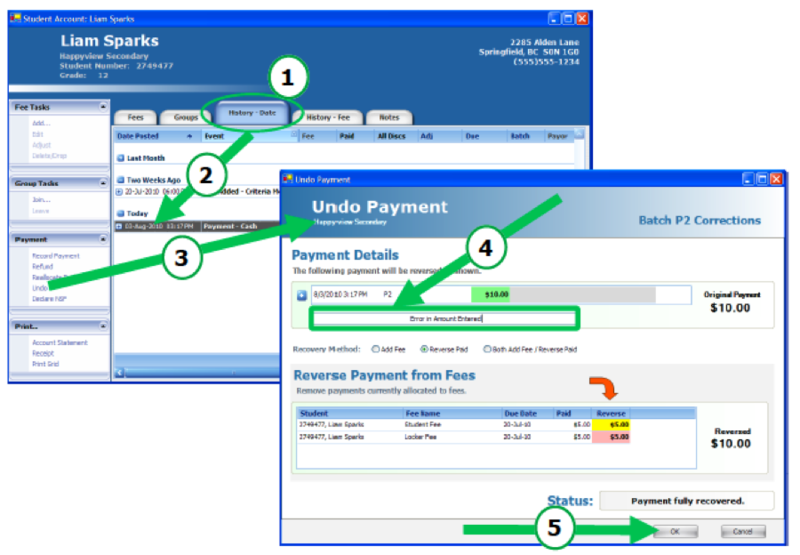 Account histories can be viewed by date or by fee. If there are questions about payments on an account or about a transaction from a specific date, use History – Date. If there are questions about what may have changed about a specific fee, use History – Fee. When using either history tab, remember to use the plus buttons to view more detail. Remember that even if a fee has been removed from an account, there is always a record of it in the account history. o In the example below, a late fee was assessed to the account on June 23rd 2012.
o It was later manually removed on July 5th 2012 by a user.